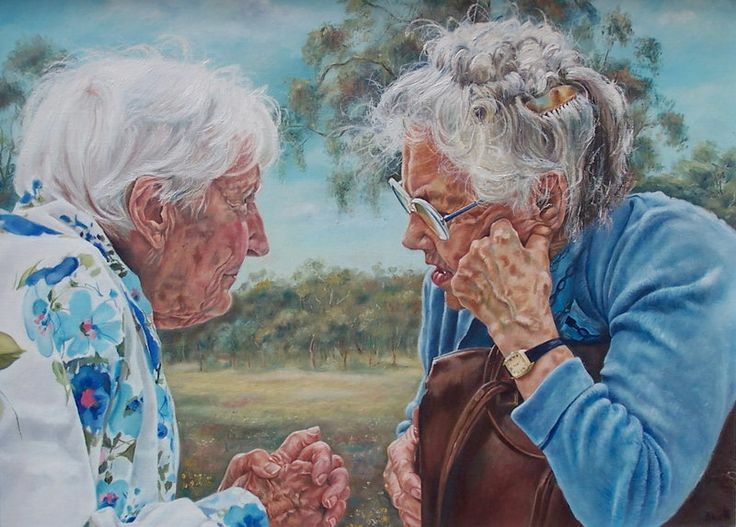 So that way I can say...,We were together forever. So that way I can say..., We were together forever. So, for this month featuring author is "Abha Iyengar"
Can you tell us a little about yourself? Your profession and your hobbies. 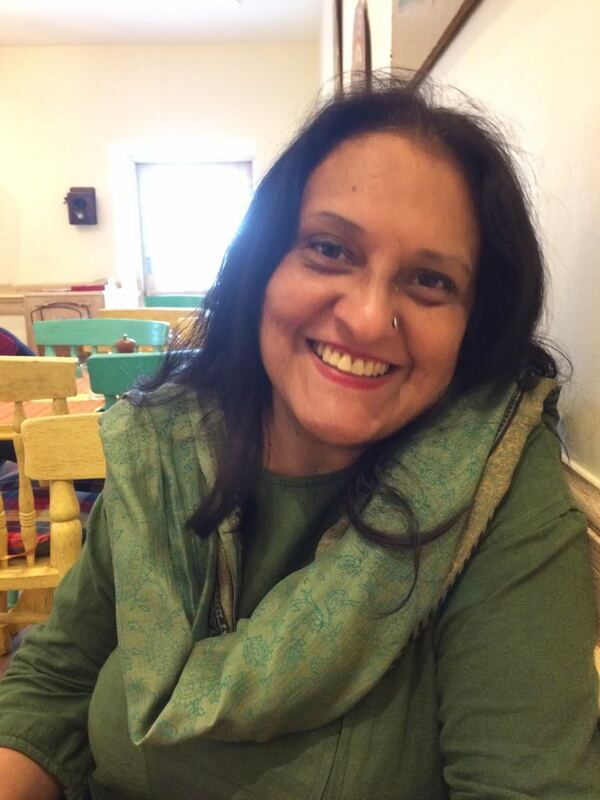 I am a poet, author, editor, translator and a British Council certified creative writing mentor. I love to travel and take photographs on the go. 1. How did you first get involved in with writing? Are you an imaginative person? I read a lot, a habit I formed in early childhood. I always carried a book with me to read wherever I went. I find it easy to express myself through writing. I began to take writing seriously as a profession in 2001. I have to write very fast to put what I am thinking onto the page. Otherwise, the thought or idea gets lost, and/or I lose interest in it. The external world calls upon my time when I am not immersed in writing. Friends and family and travel, these are of importance after my writing. I go with the flow. However, yes, I do want to send many more books out into the world and to my readers. The ideas are all around. I just have to tap on something that affects or moves me. I often work with prompts. They are like magic for me. Ideas flow once I begin to write. Just follow your passion for writing and find your unique voice. Don’t look for the easy way out. Writing is hard work. 7. What’s the best thing a writer can give to her readers? A good writer shares her soul with her readers. What else is then left? A truly realistic picture is this. Except for the big names who have arrived, very few writers make money. If they wish to make money, they have to pursue not only writing but also the marketing of their work with extraordinary zeal. I am a seeker. I constantly want to know and learn. That is my prime motivation. I am also driven to create awareness among women for the need to be self-reliant and strong; to speak their truths. Viewpoints will be subjective. But do not force your words and values down another’s throat. Be democratic. I have written several books, which include a poetry collection, flash fiction collection, novels, and a short story collection. I am now co-editing an anthology titled ‘The Other’. This is a collection of stories by 33 writers. There are some established as well as fresh, vibrant voices in this anthology to be launched by the end of the year. There can be no two views on this. Plagiarism is a crime. However, while anyone can steal material wealth, a writer’s voice will always belong to her. 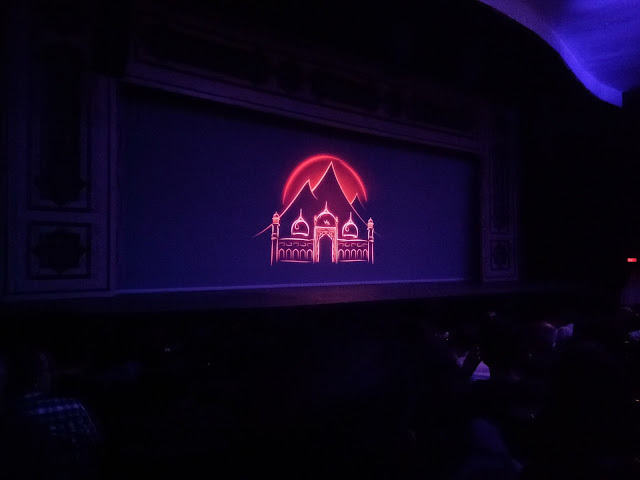 Recently I got a chance to watch the mystic play of "Mughal- E-Azam" which has been presented by NCPA and Shapoorji Pallonji Group However it happened so that one of my friend’s has got two tickets and she was looking for the companion to come along, So when asked I was more than happy to join in. Initially, I took it as any other play which I have seen in past but trust my words it was mammoth of play. Before I talk about the play let me share a bit background about "Mughal- E-Azam" a story. "Mughal- E-Azam" was a blockbuster epic Indian movie that was released in 1960 after being for 7 years in the making and it broke all records at the box office after its release and shut the mouths of the skeptics. The movie starred Prithviraj Kapoor, Madhubala, Dilip Kumar and Durga Khote in the lead roles.It was directed by K. Asif and its soundtrack by Naushad consisting of 12 songs still evokes awe.It was the love story of Prince Salim and a maid girl Anarkali and it shook the very foundations of the Mughal sultanate. 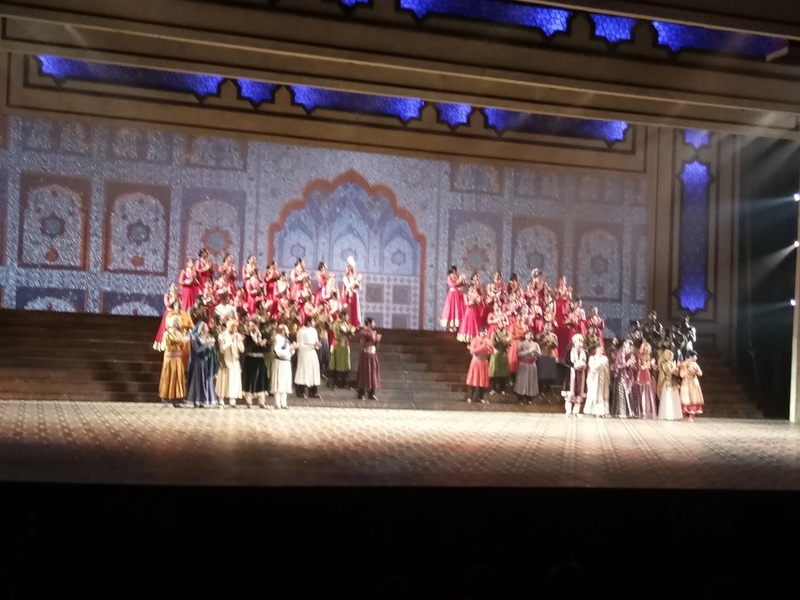 The play "Mughal- E-Azam" has been directed by celebrated director Feroz Abbas Khan who has also directed Tumhari Amrita, Salgirah, Salesman Ramlal and Gandhi Viruddh Gandhi and many other famous plays etc. So you can imagine my excitements as well as curiosity as to how will Feroz Abbas Khan treat a story that is known to all and has already created records as a film. The play is exactly the same as the movie. It is the story of the turbulent and passionate love of Prince Salim for a maid girl Nadira who was conferred the title of "Anarkali " by Emperor Akbar himself. The dialogues in the original movie were written by Kamal Amrohi, Wajahat Mirza, Ehsan Rizvi and Amanullah Khan. Feroz Khan has retained most of the original dialogues and when delivered by the artists with proper voice modulation and perfect diction. It created the ground for a stimulating performance. The original soul-stirring music by Naushad has been retained with the only change being live singing by the female artists and beautiful Kathak based choreography to accompany the songs. The technical direction, the Sound system, and the stage management were excellent. The background and foregrounds seamlessly and noiselessly would interchange creating a magical film like finesse on the stage. The actors were impressive in their performance and singing especially touched by Salim (Dhanveer Singh ) and Jodhabai (Sonal Jha ) and the singing of Anarkali (Neha Sargam ) was soul-stirring too. Since the original dialogues have a lot of Urdu words, the director did well to include translations projected on the both side walls. There were many high profile people who came to watch the play who kept coming late and scurrying for their seats even after 15-20 minutes of the start of the play. Since you cannot really see much of the facial expressions, the dialogues become much more important in a play. Also at some places, I felt that Akbar was not as prominent a force to imagine as in the original movie his performance could have been more influential. A complete justice has been given to the original in terms of the splendor and lavish aura as in the movie.The same large scale and dazzling sets and beautiful costumes. The play recreates the magic of the bygone era.See it for its great Music, Dance, costumes and technical aspects.Even if you have seen the original multiple times you will still come back spellbound. A must watch for all!